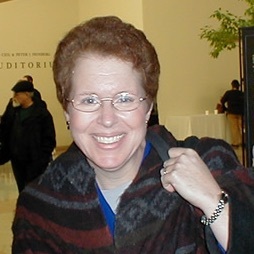 Singer, choral conductor, full professor of Jewish music (and education) at Gratz College in Melrose Park, PA. Edelman is director of the only non-Seminary-based program conferring an MA in Jewish Music. President of the Zamir Choral Foundation, and author of a variety of articles and liner notes. Author ofDiscovering Jewish Music, [JPS, 2003 ISBN: 082760727X]. Among her varied activities on behalf of Zamir, Dr. Edelman works with Matthew Lazar to coordinate the annual North American Jewish Choral Festival. She also serves as administrative director of Hazamir: The National Jewish High School Choir. (More information about Dr. Edelman forthcoming).